We wrote these songs to help our young students talk about likes and dislikes. We found that it was easy for them to think of things they liked (such as their favorite foods), but they were having a hard time coming up with things they didn’t like. So we put two of their favorite foods together and a new song was born! Teachers love to use these songs in the classroom as a foundation for extended learning opportunities. Here are some activities that friends have shared with us. 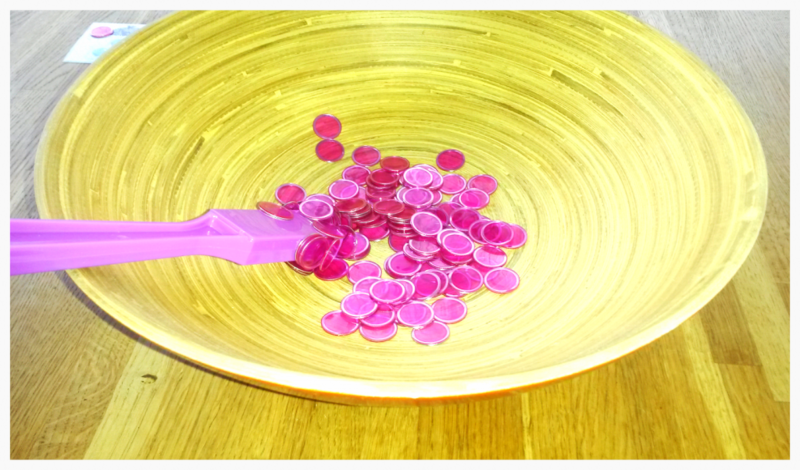 Here’s a very easy game to play with kids ages 3-5 years old. It’s perfect for practicing vocabulary from “Do You Like Broccoli Ice Cream?” (or any of the “Do You Like…?” songs). It works well for second language learners, or for practicing asking and answering questions. To prepare for this activity, print out the food flashcards from the Super Simple Learning Resource Center and laminate them (optional). You’ll also need a magnetic wand and some magnetic counting chips. You can make your own wand by using a glue gun to attach a strong magnet to a paint stick or ruler. Start by getting the kids seated in a circle on the floor. Try singing “Make A Circle” to make it fun and easy. Spread out the flashcards on the floor and place magnetic counters on each flashcard. It works best to spread them out a bit. 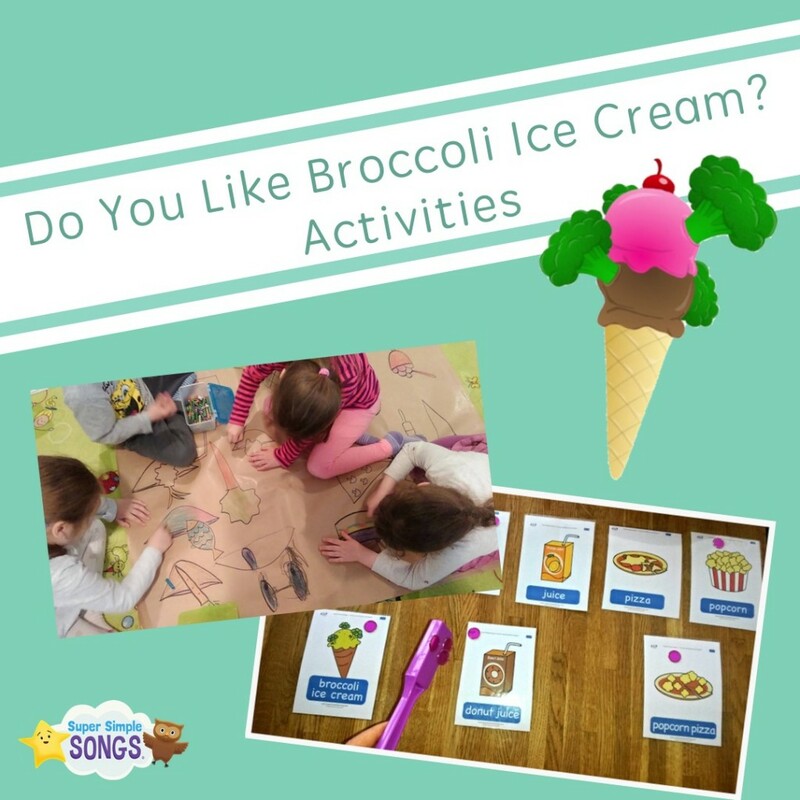 Download the latest version of the “Do You Like Broccoli Ice Cream?” flashcards. Select one student to go first and hand them the wand. Start singing along with the song and then hit the pause button. Say to the student, “Do you like…?” and name one of the foods on the flashcards. 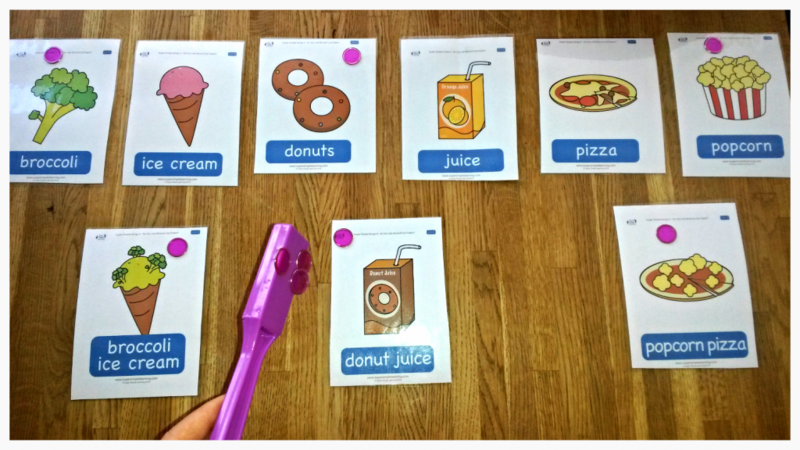 The child with the wand picks up a counter from the corresponding flashcard and answers, “Yes, I do like (plus the food)!” or “No, I don’t like (plus the food)!” Hand the wand to the next student and start singing again. If you have a small group, use less counters on the cards. With a large group you can place 3 or 4 magnetic counters on the corners of the flashcard (otherwise one child will pick all of them up at once). You can also use more than one magnetic wand. 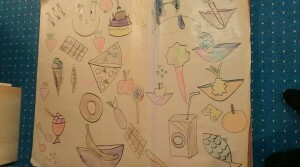 Here’s a classroom art project from Teacher Ula of the Mini English School in Poland. First, teach the kids the song. Use the video or flashcards so they are familiar with what the foods look like. During the next lesson, get out a big piece of butcher paper or poster board. Ask the students what types of foods they like and don’t like. 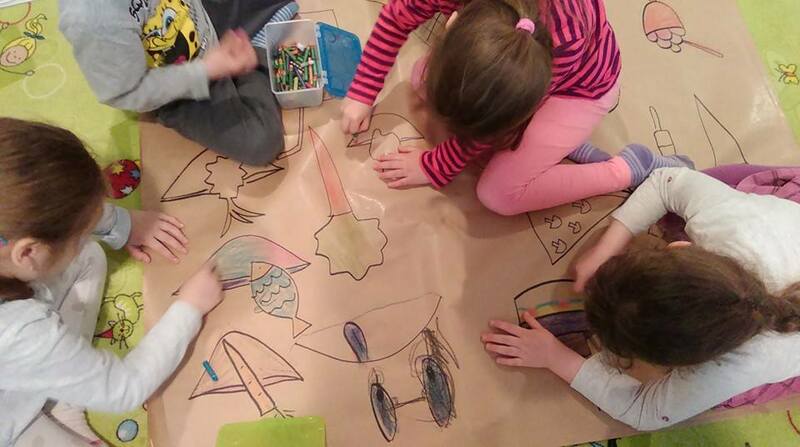 Draw everything that they say on the piece of paper (don’t worry about your drawing abilities! It doesn’t have to be perfect. 🙂 ) Encourage them to make up new funny combinations and have them advise you how to draw them. Hold up the paper and review the foods on it. Take a survey and ask kids to raise their hands as you ask about foods that they like or don’t like. Finally, have the kids color all of the pictures. Our students worked well together and there was plenty of room, but if you have a big class, you might use additional sheets of paper and divide the kids into groups. Hang up the artwork in the classroom. Encourage the kids to explain the funny food combinations to their parents. Thank you to Teachers Ilinca and Ula for sharing their ideas with us. Do you have any activities to go with these songs? Tell us about them in the comments!